The Museum of Russian Art seeks an experienced Executive Director and President, gifted at communications and passionate about Russian art and culture, to lead this young, vibrant museum toward its goal of becoming a nationally recognized center for Russian art and culture. The Museum seeks a highly visible leader, open and responsive to sophisticated cultural contexts, and an enthusiastic and effective fundraiser with experience in management and operational infrastructure. S/he will leverage the young Museum’s unique assets and its current momentum to build larger audiences, strengthen operations, and financially anchor the Museum for the future. The Director must be able to establish networks nationally and around the globe to bring world-class art loans and programming opportunities to the Museum. The Museum was originally established in 2002 to exhibit founder Ray Johnson’s important collection of Soviet-era Russian paintings. In 2007, the Museum was transformed into an independent, nonprofit museum with a broad mission to promote and celebrate the artistic and cultural contributions of Russian art and culture and to promote deeper understanding of Russian history. The Museum owns a small and growing collection of Russian paintings, works on paper, folk art and decorative objects from the late 19th century to the present, and the caliber of several of its collections is unparalleled outside Russia. Changing exhibitions feature a wide selection of Russian arts from earlier eras to today. 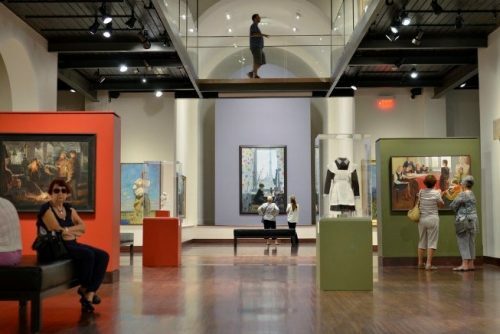 The Museum represents an important cultural holding in the US, and with its robust calendar of exhibitions, lectures, music, dance, theater, poetry, and other cultural events, it can now boast of being the premier institution in the U.S. focused on the intersection of Russian art, history and culture. The Director will play an important role in implementing a new strategic plan that strengthens this profile while engaging broader and more diverse audiences locally, regionally and nationally. S/he will be a strategic thinker with vision, who will develop the museum’s annual budget of $1.3 million and lead its operations. The Museum currently serves 35,000 visitors annually through 10 exhibitions in three galleries and 40-50 programs (most of them sold out). The Museum boasts one of the finest museum stores in the region. The Director will oversee a staff of 13 (FT and PT), plus 30 volunteers and 13 docents, and will be a nimble and creative problem-solver, ready to evaluate and enhance systems, structures, and programming. The Director will work closely with the 19-member board to plan for the museum’s long-term financial security and to manage the Museum’s renovated Spanish Colonial Revival building, recognized for its intimacy, beauty, and high museum standards. Lead a beloved small museum with untapped potential that already punches well above its weight due to its quality art collection, admired historic building, devoted and energetic staff, engaged board, and enthusiastic community support. Leverage and promote the uniqueness of the Museum’s mission and holdings. 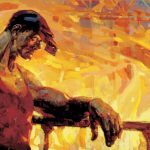 Educate visitors and add to a positive cultural understanding of Russian art and culture in the U.S. at a time when there is great interest in Russia but much negative news. Continue to build on a programmatic vision that situates the museum as a quality and relevant art experience as well as a locale for community cultural engagement. Take on the challenge of anchoring a young organization financially, securing its long-term future. Live and work in a large, philanthropic city known for its support of culture, a city that is also safe, friendly and welcoming. Provide vision and leadership for the 11-year-old museum, partnering with the Board to set direction, goals and priorities for the museum’s future. Garner the annual resources needed to meet the current operating needs of the museum. With the Board, create a long-term plan for building endowment and financial sustainability. Be an enthusiastic and effective fundraiser and provide significant leadership in identifying opportunities and raising funds, helping to personally cultivate major donors and foundations, working in collegial partnership with the Development Officer and an active and engaged Board. Lead, inspire and mentor staff; foster a culture of recognition and respect. Work with the Board, staff and stakeholders to define long-term strategies for the collections, programming and interpretation for the U.S.’s only museum dedicated solely to a full range of Russian art and to Russia’s cultural contributions. Provide oversight and input for an active and distinguished curatorial program of exhibitions, and for the panoply of public programs. Build the Museum’s network and partnership opportunities with museums, collectors and cultural institutions regionally, nationally and internationally to enhance sharing and exchange of exhibitions, loans, expertise, and programs. Oversee marketing strategies to augment visibility and community connections, to continue to grow visitation and broaden audiences, and to promote the Museum and its offerings locally, nationally, and internationally. Review organizational infrastructure and align it with strategic plans and efficient operations as the Museum continues to mature. Develop the annual budget and effectively manage and stretch resources. Maintain highest level of museum best-practices and standards. At least 4 years’ experience as a museum director or in an equivalent nonprofit executive leadership position; art-museum experience preferred. Advanced degree in art history, Russian studies, museum studies or equivalent. Ability to speak and read Russian desirable. Enthusiastic champion of Russian art and culture; familiarity with Russian art preferred. Strategic thinker, able to put challenges in perspective and make sound recommendations for advancing the museum. Ability to develop and execute an ambitious programmatic vision backed by disciplined financial and operational planning. Enthusiasm for fundraising for general operations, special programs, and capital projects. Experience with private-donor development campaigns, major gifts, or planned giving preferred. A public-facing person, invested in sharing the mission of the museum with others. Strong communication skills. An engaging, inspiring and confident public speaker. Experience with a young museum or organizational start-up is an asset, especially an ability to spot and implement key operational structures for staffing, budgeting and marketing. Track record of managing and stretching modest budgets. A skilled and flexible manager and good listener who can multi-task, delegate, and foster a team environment. A diplomatic negotiator with high emotional intelligence, a consensus builder. Familiarity or experience working with Russian-speaking or similar ethnic cultural communities or cultural organizations, here or abroad and embrace of cultural diplomacy, is a plus. S. work papers; a visa application cannot be supported by the museum. The Museum of Russian Art is dedicated to the arts and culture of Russia with a goal to ignite greater cultural understanding of this significant world culture, celebrated for the richness of its art, music, literature and dance traditions. It holds a rapidly growing collection of Russian art and artifacts, largely from the 19th and 20th centuries, but expanding to include icons, Impressionist and Modernist styles, folk art, and objects from before and after the Soviet era. The Museum was founded in 2002 by collectors Ray and Susan Johnson, and in 2007 it reorganized and transformed into an independent, member-supported 501(c)(3) non-profit museum with a broader mission. 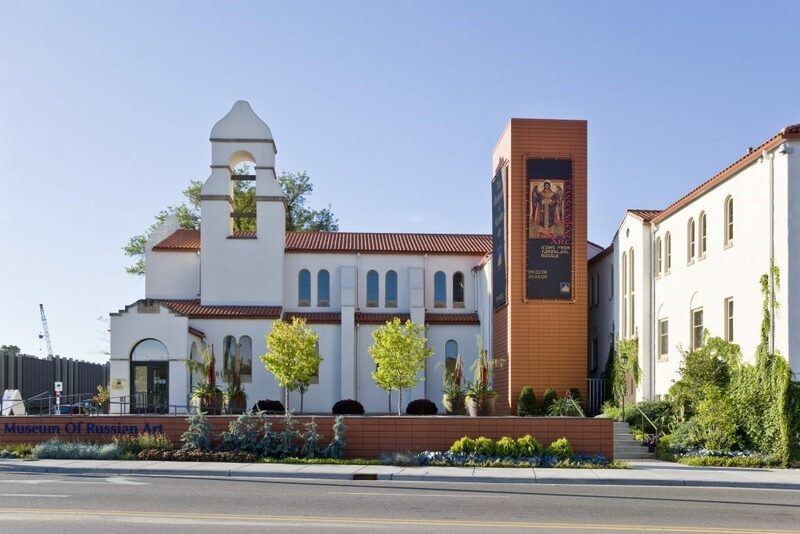 The museum moved into a beautiful Spanish Colonial Revival former-church building, renovated to world-class art-museum standards, with 3 levels of galleries, onsite storage, offices and meeting spaces, and a distinctive museum shop that sells one-of-a-kind Russian artisan products. The building includes 6,800 square feet of gallery space that doubles as performance and event space. Museum staff organize an impressive calendar of permanent-collection and loan exhibitions and, in recent years, shows have covered topics such as Russian icons, Imperial objects and Fabergé, photography, printmaking, lacquer art, porcelains, textiles, and folk art, including exceptional gifted collections of holiday ornaments and nesting dolls. Exhibitions include works selected from its growing permanent collection, supplemented by items obtained on loan from museums and collectors, or showcasing prominent regional artists. For example, in 2018, four living artists from Russian, Ukrainian and Belarussian heritage were exhibited, including two from Minneapolis — Leon Hushcha and Natalia Berglund. When selected by the Museum curator for inclusion in theme shows, the private Johnson collection of over 10,000 Russian paintings remains available for loan to the Museum. 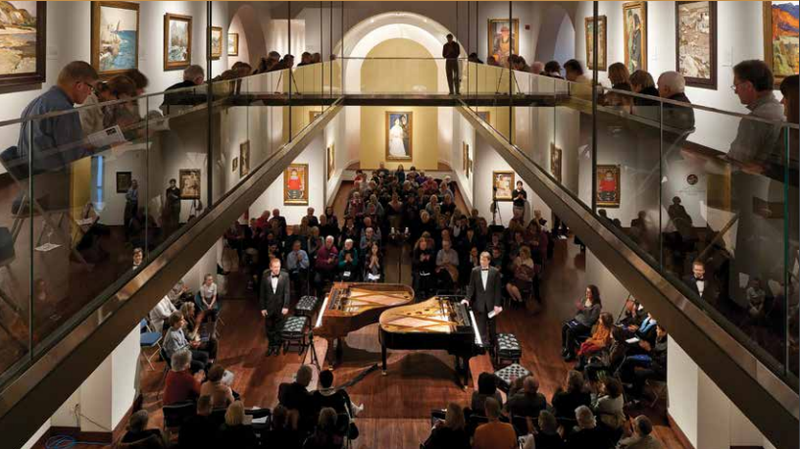 The Museum annually hosts dozens of cultural programs and events, including concerts, lectures and panels, dance, theatrical readings, vodka-tastings and more. The museum has quickly become a beloved and recognized “gem” in the Minneapolis community. Qualified candidates should email cover letter and résumé (Word documents preferred), salary request or range, and names of 3 references with contact information by January 14, 2019, to Connie Rosemont, Senior Search Consultant, and Marilyn Hoffman, Principal, at: searchandref@museum-search.com. References will not be contacted without prior permission of the applicant, and all applications and nominations are kept confidential. EOE. Minneapolis and St. Paul together comprise the Twin Cities, the third largest metropolitan community in the Midwest. Straddling the banks of the Mississippi River, St. Paul is the state capital, and Minneapolis boasts a modern downtown of skyscrapers and global businesses, with surrounding neighborhoods that have an accessible Midwestern feel. The Twin Cities are growing at a rate of 9% per year and have a metro-area population of 3.6 million today. While a major urban center, Minneapolis is also a friendly, welcoming, and moderately priced community. The Twin Cities support a robust scene of arts and cultural programming, and are home to numerous prestigious institutions, including the encyclopedic Minneapolis Institute of Art, the Walker Art Center and its sculpture garden (pictured above), the Frank Gehry-designed Weisman Museum of Art at UMN, the Minnesota Museum of American Art, the Minnesota Historical Society, the Guthrie Theater, and the University of Minnesota. Minneapolis is also known as an important music hub for alternative music – folk, funk, hip hop and rap, and Prince is a native son. Restaurants offer international and multi-ethnic fare, and Minneapolis is home to a thriving festival tradition, including the Minnesota Craft Beer Festival and the Twin Cities Jazz Festival. The Twin Cities support a thriving business community, which includes the headquarters of many global and national businesses, including 3M, Cargill, Ecolab, UnitedHealth Group, Target, Best Buy, Medtronic, and General Mills, among others. Outdoor enthusiasts and nature lovers will find much to celebrate in Minneapolis, where “you are never more than 6 blocks from a park,” and where you can find waterways, lakes, waterfalls, and scenic walking/biking paths. The cold winters provide plenty of outdoor winter sports, including skating, ice-fishing, hockey and skiing [cross-country and downhill]. For sports fans, the Twin Cities offer major-league teams: the football Vikings, baseball Twins, hockey Wild, basketball Timberwolves and four-time WNBA champion Lynx, and men’s and women’s professional soccer teams. Minnesota is nationally recognized as a model of robust philanthropic and public support of the arts. For example, the charitable foundation of Minneapolis-based Target Stores annually donates over $9 million to social and arts-based programs. The Minneapolis-based McKnight Foundation is the 22nd largest in the US and annually provides over $8 million in support of the arts. In 2008, a Minnesota State referendum created the “Legacy Amendment” that allocates 19.75% of increased sales tax revenue to the Arts and Cultural Heritage Fund, and the Museum is a current grantee. Strong Community Foundations provide substantial support of the arts in both Twin Cities and throughout the State. Minnesota, the “Land of 10,000 Lakes,” is a prosperous state with a well-diversified economy. It has the second-highest proportion of high school graduates (91%), as well as a progressive income tax structure, and one of the most welcoming refugee/new immigrant policies in the US. Minnesota welcomes 70 million visitors annually, and the state is a vacation destination for cultural tourists as well as outdoor enthusiasts, offering swimming, boating, hiking and biking, fishing, and hunting; and in winter, ice fishing, skiing, and winter sports. The state supports a network of public universities and colleges and more than 20 private colleges. The population in 2010 was approximately 5.3 million people, with nearly 60% living in the Twin Cities.